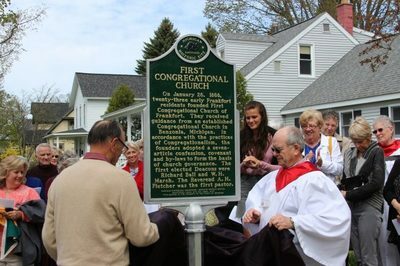 FRANKFORT — The First Congregational Church of Frankfort officially “unveiled” a historical marker granted to the church from the State of Michigan, recognizing it as a historical site. The unveiling took place after regular church services on Sunday. The marker, which was granted to the church in the fall of 2017, commemorates the over 150 year history of the church, which was founded in 1868 by 23 residents of Frankfort. The chapel building itself was built in 1871 on land donated by the Frankfort Land Company, which was managed by Eugene B. Frost, one of the charter members. The church has undergone some renovation over the years. In 1907, the church was raised to put a parlor under it, what was once called “The Red Room.” due to red carpet. In 1957, the north wing was put on the church. 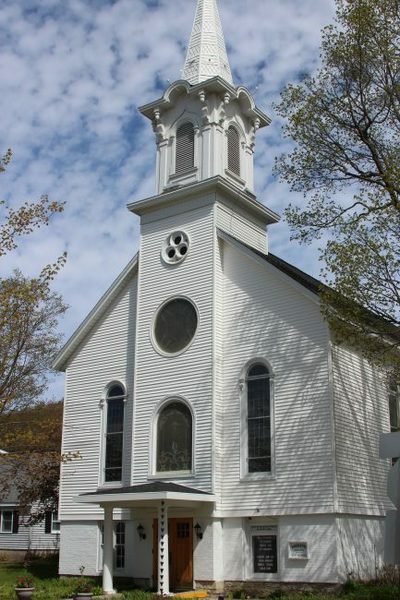 The chapel building is the oldest building in Benzie County to still be used for its original purpose. 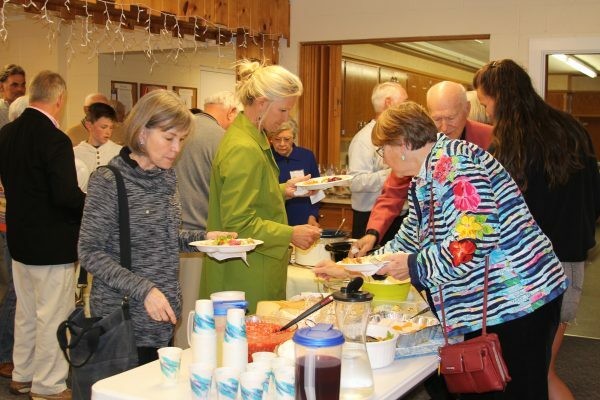 Over the years, the church has developed a number community and congregational activities, some stretching back for generations, and others started not so long ago. After the marker was dedicated by Barb Mort, director of the Benzie Area Historical Museum, and Tom Truscott, a commissioner with the Michigan Historical Commission, it was unveiled by Jim Buzzell and Bill Frostic. A potluck lunch was held afterwards.